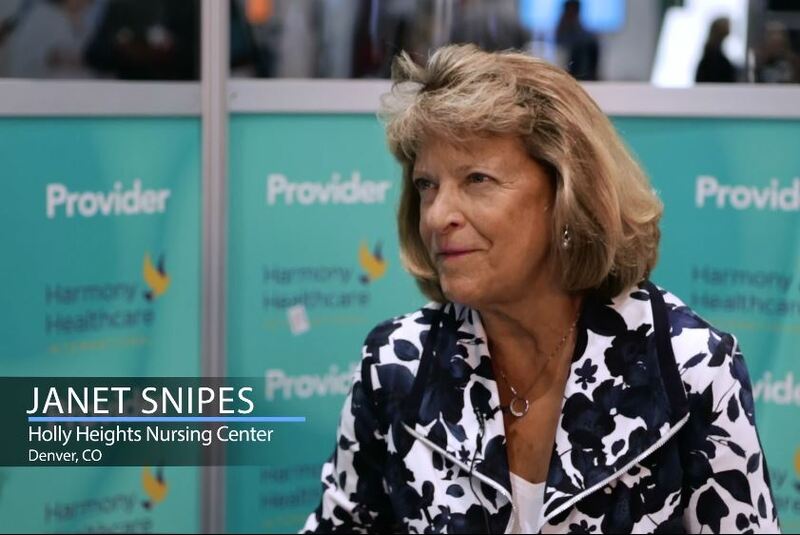 Pam Duchene, Vice President of Education and Training at Harmony Healthcare International (HHI), interviews Janet Snipes, the Executive Director of Holly Heights Nursing Center (Colorado), in the 2018 AHCA Provider Lounge. Janet discusses the journey that led her facility to win the Gold Quality Award. The journey involved fine-tuning many processes and systems in order to improve overall performance. Not just limited to facility staff, the journey to Gold involved engaging residents and family members along the way. By working closely with her residents, Janet was able to reduce both falls and anti-psychotics. In the end, Janet advises facilities seeking Gold to do it for their community and not the award - and if you keep that in mind, you will reap the rewards regardless.